Virgil van Dijk's positivity after Sunday's 2-0 win over Fulham did not cloud his perspective on the competition at the top of the Premier League. Having temporarily gone top with the victory, the Reds dropped below pace-setters Manchester City as a result of their success against Manchester United later in the day. But with only a dozen games played in the Premier League this term, Van Dijk’s approach to the race is simple: do not look beyond the next fixture. “That is something we still need to see,” said the Dutchman when asked about Liverpool’s title credentials. “[City] are the champions and the best team in the league but we will try everything to be as good as we can. “We don’t have to look at others, we want to look at the games we have and the next challenge we have as Liverpool is Watford away, which is going to be tough. 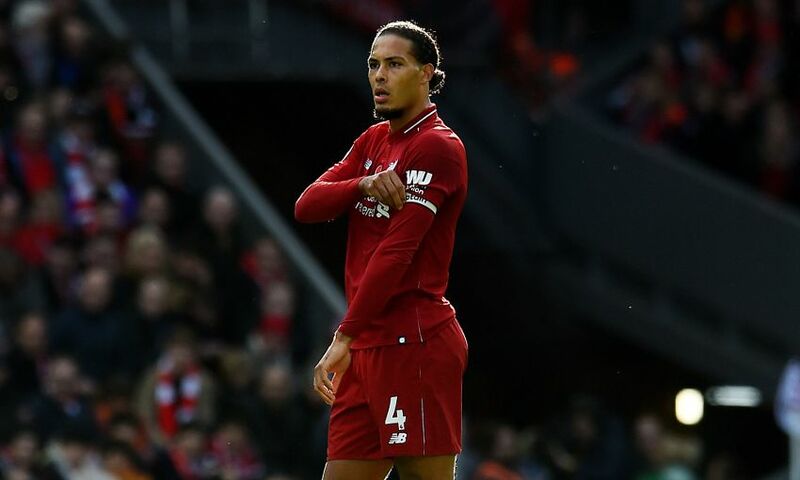 Van Dijk once again donned the captain’s armband for the Reds on Sunday, with Jordan Henderson and James Milner among the substitutes. The No.4 teamed up with regular central defensive partner Joe Gomez to ultimately keep at bay a Fulham side who forged a series of clear chances in the first half. “We can be very positive about that [clean sheet]. It was very important, especially second half, to keep it tight at the back and I’m glad we did,” he said. “It was an important win, especially before the international break I think and especially after the defeat we had in the Champions League. Liverpool’s strength in depth at centre-back meant Dejan Lovren had to settle for a place on the bench against Fulham, while Joel Matip was not in the matchday squad. And Van Dijk feels that shows the level has risen from last term, adding: “I am just enjoying playing for Liverpool, it doesn’t really matter who is standing next to me. “I am happy to be out there; we have great centre-backs and even Joel is not even on the bench and that says a lot about our squad as well.